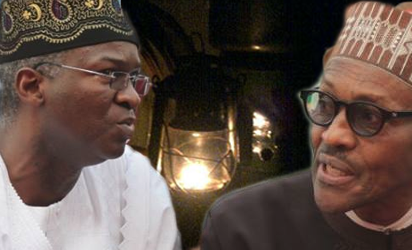 ABUJA-Minister of Power, Works and Housing, Mr. Babatunde Fashola on Wednesday said that lack of finance to pay for the supply of gas to power stations was responsible for the drastic drop in the electricity supply being currently experienced across the country. Briefing State House correspondent alongside his counter, the Minister of Information, Alhaji Lai Mohammed at the end of the meeting of the Federal Executive Council, FEC presided over by the Acting President, Yemi Osinbajo at the presidential Villa, Abuja, the minister added that the fire incident at Afam flow station escalated the situation. He also lamented the destruction of pipeline and other key infrastructures by hoodlums. The Minister however said that he was in talks with gas suppliers just as he stated that repairs were ongoing at the station, assuring that there was an improvement at the moment. He said: “We heard there was liquidity problems, gas suppliers haven’t been fully paid you have back and forth between DisCos and GenCos. So, those are the issues. Apart from the sabotage that we have had from the Western axis of the Niger Delta, so the Escravos Lagos pipeline is not operational, the Forcados export terminal too has been out of operation. “What then happens on the grid is that once it goes below 3,000 MW, it becomes unstable. It is like in your house when you have surges and your circuit breakers trip to protect the system. So, once it falls below a certain threshold, you then have those trip offs. There are in a sense almost necessary to protect the entire system, so what then happens is startups, we do black starts from various power plants. “While we were trying to start last week, we had a fire in Afam and that affected the control room and these are normal engineering accidents that can happen, the mechanical parts can break down, we also had another fire in Kainji. “We have tried to repair them over the last weekend while negotiations with the gas companies are ongoing. I have been meeting with the gas suppliers, trying to see how we can pay off some of these debts whilst fix other problems. “As I continue to say, it is not technical but financial, vandalism of pipelines is not technical, people are destroying, they are hungry. “Until we resolve these behavorial issues, people collect money are they remitting everything in a manner that is fair, even if it is not enough, some people hold up their own share and they ask themselves why should we continue to supply if we cant get paid because there are bankers and financiers? So, we are talking with everybody trying to resolve it. “As at yesterday, we were back to 2900, so we are building up back again and very soon you will see some stability. These are set backs on the road to incremental power but we will overcome them”. Fashola also said that FEC approved the sum of N274.3million to complete Odogiyan transmission substation in Ikorodu, Lagos and to provide additional transformer capacity at the substation.